The vonbox - Wire coat rack is characterised by its minimalist style that fits excellently into every hallway. It attracts attention with its dynamically shaped steel wire frame, without appearing obstructive. While coats and jackets can be hung up on the rounded coat hangers, a shelf made of powder-coated steel provides space for hats, bags or scarves. The wire wardrobe designed by Martin Hirth can also be used as an alternative clothes rail in the bedroom, providing a clever way to store clothes in a space-saving manner. Isolated product image of the Vonbox - Wire Coat Rack, black (RAL 9005). Designed by Martin Hirth, the coat rack has a minimalist look and feel that can be easily introduced into any hallway. 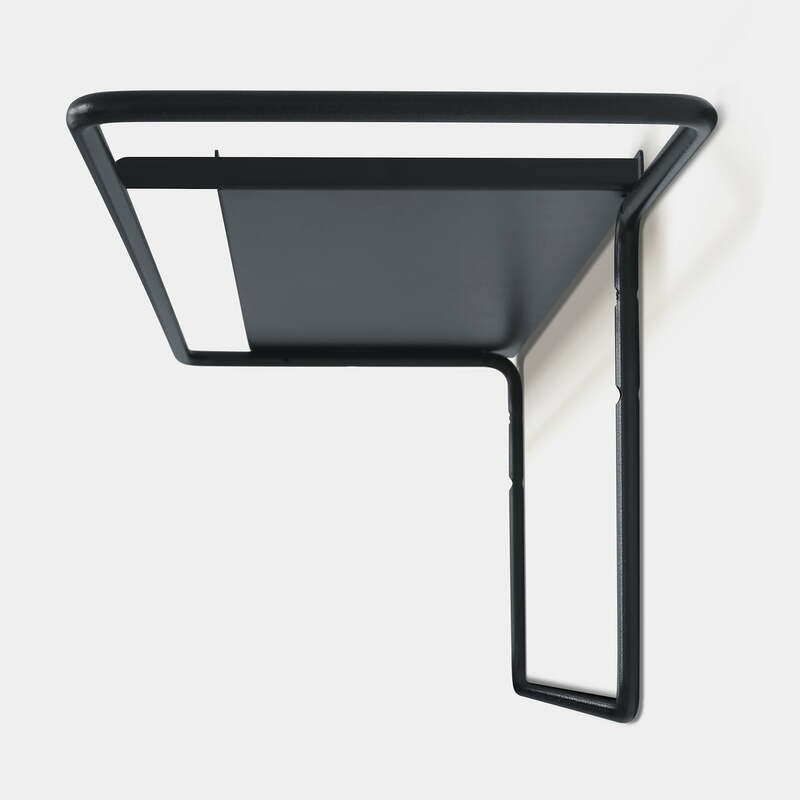 Isolated product image of the Vonbox - Wire Coat Rack, black (RAL 9005). The dynamically shaped steel wire frame attracts attention, without appearing obstructive. Isolated product image of the Vonbox - Wire Coat Rack, black (RAL 9005). 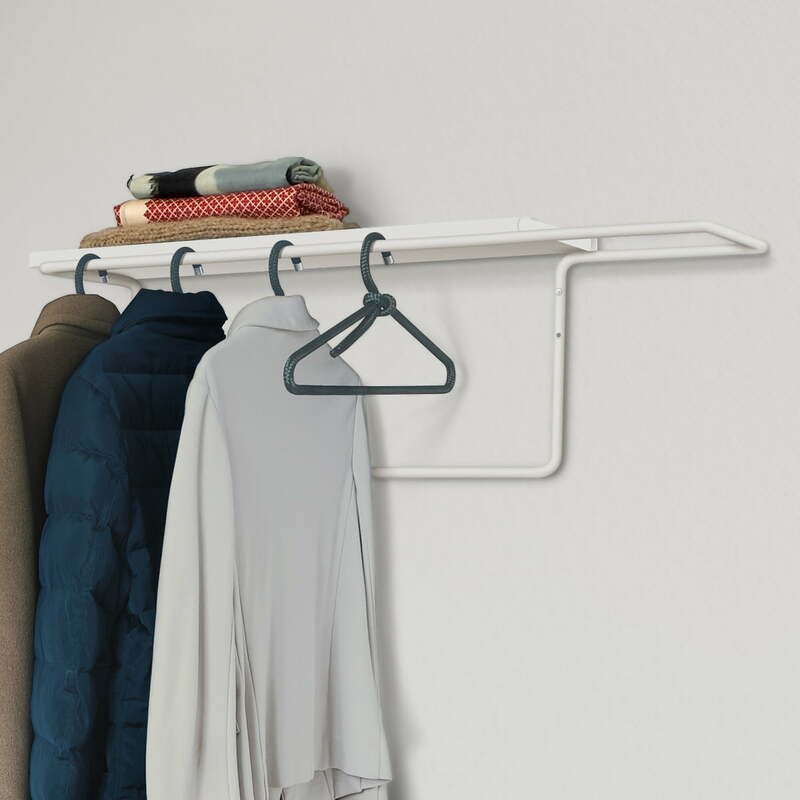 The vonbox - Wire coat rack is characterised by its minimalist style that fits excellently into every hallway. 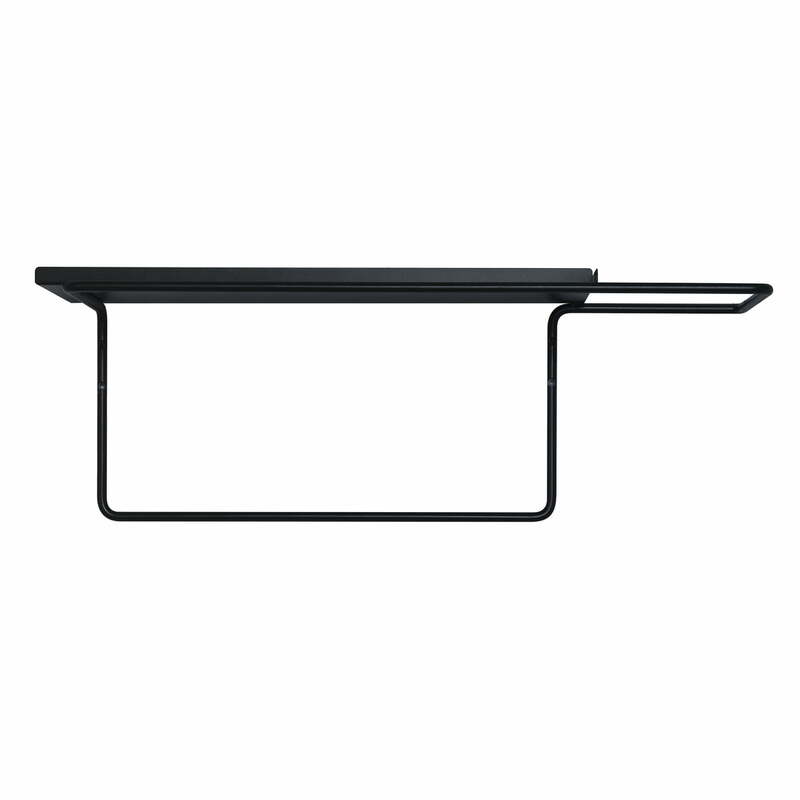 Isolated product image of the Vonbox - Wire Coat Rack, black (RAL 9005). 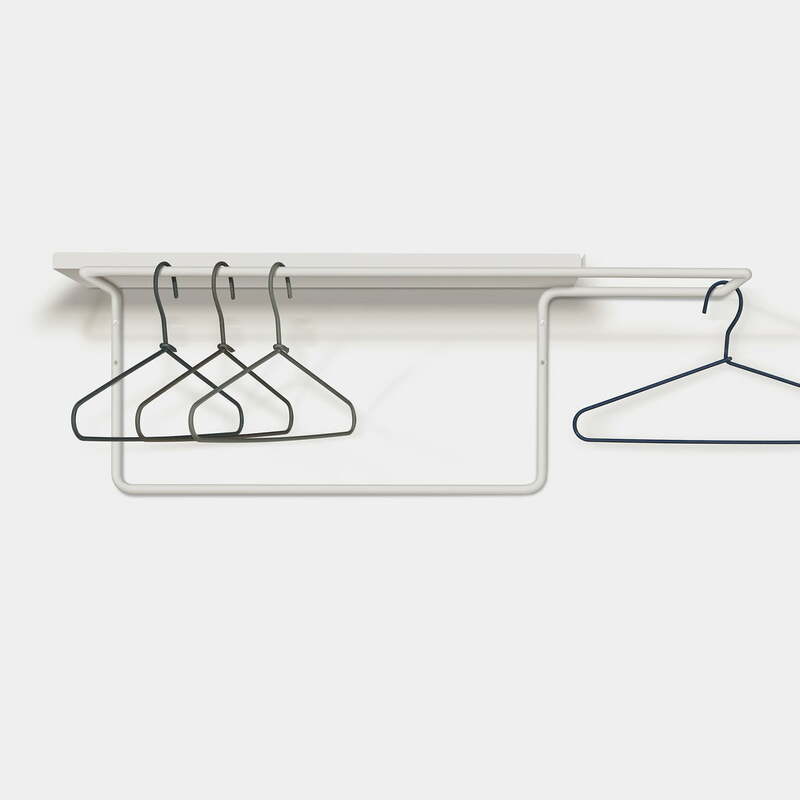 The coat rack has a rail system that offers numerous possibilities to hang clothes. 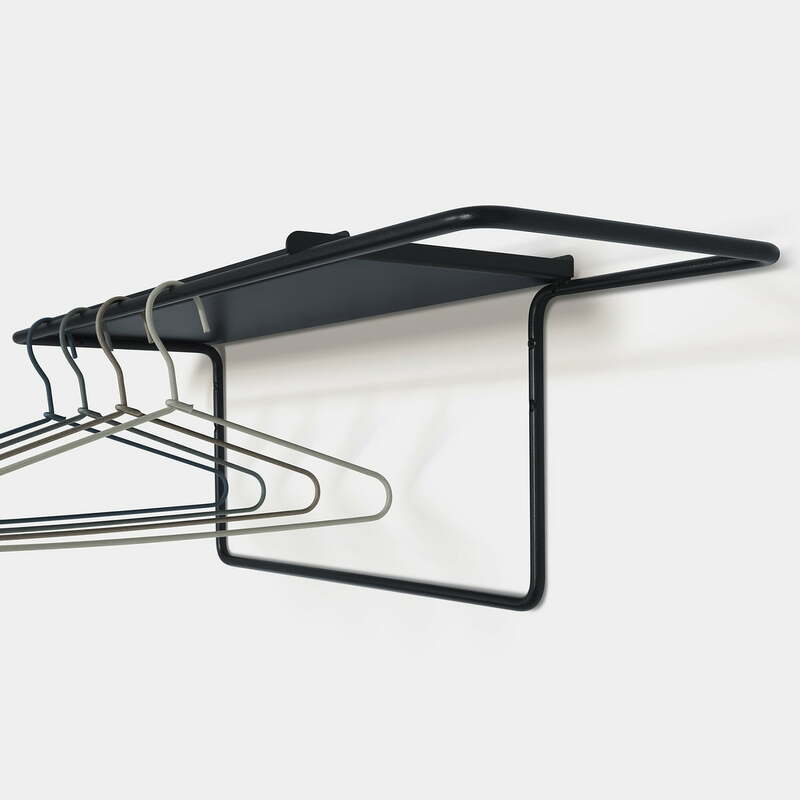 Isolated product image of the Vonbox - Wire Coat Rack, black (RAL 9005). While coats and jackets can be hung up the rounded coat hangers, a shelf made of powder-coated steel provides space for hats, bags or scarves. 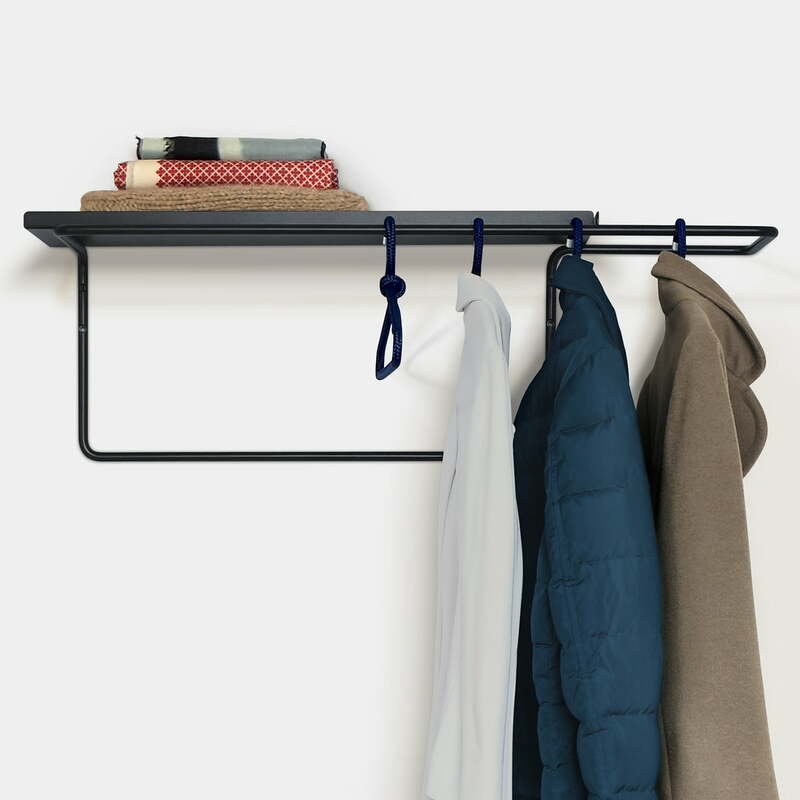 Lifestyle product image of the Vonbox - Wire Coat Rack, black (RAL 9005). While the coat hangers can be hung up on the rail, the shelf serves as storage for hats and umbrellas. Isolated product image of the Vonbox - Wire Coat Rack, white (RAL 9005). The wire wardrobe designed by Martin Hirth can also be used as an alternative clothes rail in the bedroom, providing a clever way to store clothes in a space-saving manner.